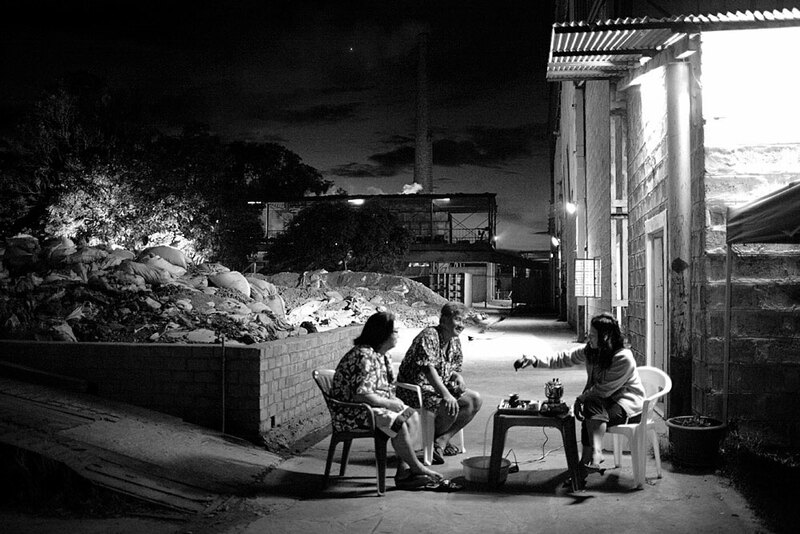 Mr. Chen Ting Hui (c)), age 48, drinks evening tea with his wife Liang Jin Jie, age 41, and a friend in Ndola, Zambia, 2007. Mr. Hui is a General Manager for Eastern Union Limited, a China based company that buys Copper from Congo DRC, and brings it to Ndola to their Copper smelter. The copper is later transported by ship to China, fueling their demand for raw materials.